As a youth coach, my ideal clients are parents who need someone to guide and inspire their teenagers. I love helping young people see their true worth so they can believe in themselves. My coaching approach or philosophy is very simple: Let’s get to the heart of the matter. I specialize in bringing a dead, passionless soul to life. I can tell whether my client is speaking from the head (cerebral) rather than the heart. There is life when someone speaks from the heart. Change can only take place when we have dug inside the inner recesses of the heart. I studied Leadership Coaching from Professional Christian Coaching Institute, which is an ICF-accredited (International Coaching Federation) school. I am a Gallup-Certified Strengths Coach, a Myers-Briggs Certified Practitioner and a Certified Points of You Practitioner. My best qualification and/or credential is my more than 8 years (> 1000 hours) of experience working with and serving the youth. Every client is different so I prefer to have an initial talk with you to discuss your needs and agree whether I am fit to coach your teenager. I will quote according to your coaching needs. I am able to offer reduced rates for session packages or students paying for themselves. For any questions, feel free to schedule a 30-minute complimentary consultation call with me. Have you worked with Gerald? Tell your friends! I just want to thank you for everything - for being there and listening to my crazy stories! -for helping me realize my mistakes, and helping me how to make better decisions on my own. I really look up to you and I hope that someday I can lead people the way you lead them. Thanks for helping me grow into what I am today and what I will be in the future! I want to specially mention your eloquence in evaluating our strengths that made us realized what and how can we be of big help for the goal of our company. Thank you for the unforgettable Strategic Planning. Thank you sir! We enjoyed our Strategic Planning, especially those inspiring words you’ve told us during ‘Knowing your Strengths’ moments. We wouldn’t discover or truly know the meaning of our exemplary strengths had you not explain it well. It inspires us and boosts our energy to do our best to meet our goals for the next 3 years. You’re a very good trainer! The thing I appreciate about Gerald Sioco is that he is willing to guide me in any problems that I need to overcome. I will always remember how you helped me prepare for my job interviews and tweak my resume. You even initiated to have a mock interview with me. The process gave me so much confidence that I need. I will recommend you to anyone who wants to grow as a person and has the desire to discover more about themselves. Coaching with Gerald Sioco is based on a caring friendship, not just a business relationship. He made sure to keep me accountable on a regular basis. What I love about Gerald Sioco is he makes me feel that he genuinely believes in me and in my potential. Because of which, I was able to achieve and go beyond the goals I have set. A coaching session with Gerald Sioco is always a value-adding conversation I look forward to. There’s a certain air of vulnerability, transparency, and certainty you get whenever you talk to him. Even as an introspective person on my own, he was able to empower me to really dig and answer tough questions I didn’t consider asking myself. - Stephanie Louise Sayson, Capabilities Coordinator, Coca-Cola Beverages Philippines, Inc.
What I appreciate most about my coaching sessions with Gerald Sioco are those ‘AHA’ moments I’ve experienced in the middle of our conversations. Those moments were a mix of intrapersonal insights as well as new perspectives and solutions to the challenges I was facing. 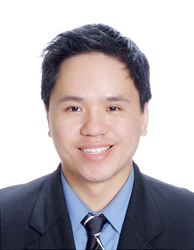 I highly recommend Gerald Sioco if you’re serious about achieving your personal goals. He will guide you through those blind spots so you can see better and achieve faster. What I appreciate most about Gerald Sioco is the openness of our coaching relationship. I love the space that we have in our coaching conversations. Our sessions have helped me realize my blind spots where I have found myself in a lot of ‘AHA’ moments in the middle of our conversations. Coaching with Gerald Sioco feels so light yet meaningful and insightful. - Bryan Timothy Tiu, Senior Business Analyst, Cobena Business Analytics and Strategy Inc. I highly recommend coaching with Gerald Sioco. He asks powerful questions that allow me to clarify the purpose and direction for my life. Moreover, each coaching session has a clear next step, which I was accountable to that pushed me to progress in my life. I highly guarantee that anyone who undergoes coaching with Gerald Sioco will greatly benefit from it. Gerald Sioco has guided me to find the right answers to my own questions. He made me take responsibility and raised my awareness of where I am and where I should be. Because of which, I have better discernment and can now live to my full potential. In the few number of sessions we had, I find it rather engaging. I will easily refer Gerald Sioco to anyone. Gerald hasn't submitted any articles.